BROOKLYN, N.Y. -- Prosecutors in the U.S. are asking for a Canadian man to serve the maximum sentence of 15 years after he admitted to helping a terrorist group in Sri Lanka. Suresh Sriskandarajah, who earned university degrees in Waterloo, Ont., pleaded guilty in July in Brooklyn, N.Y., to conspiring to provide material support to the Tamil Tigers. The 32-year-old is due to be sentenced on Oct. 28 and written sentencing arguments filed before the hearing show that prosecutors want him to serve the maximum. Sriskandarajah is arguing for time served. He was arrested in 2006 and freed on bail three years later before his extradition to the U.S. in 2012. While in Canada, Sriskandarajah helped research and acquire aviation equipment, submarine and warship design software, night vision equipment and communications technology for the Tamil Tigers. 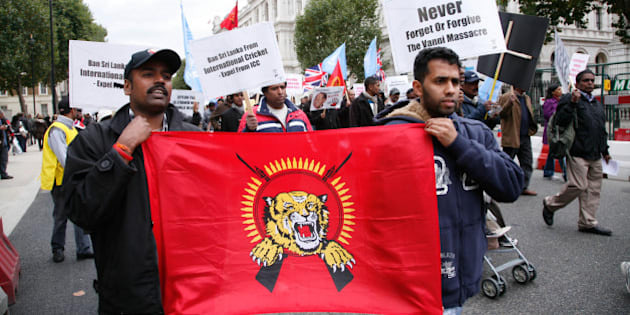 The Tamil Tigers, notorious for suicide bombings and political assassinations in their fight for an independent homeland in Sri Lanka, were declared a terrorist organization by the U.S. in 1997 and by Canada in 2006.